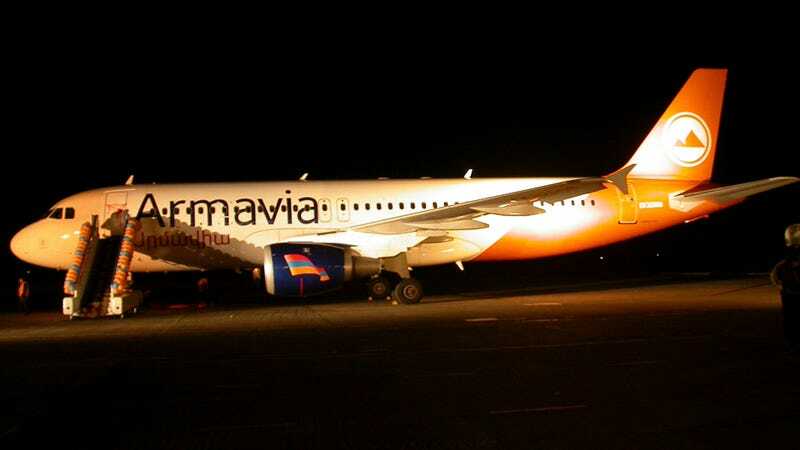 According to ABC News, the Armavia Airlines flight was en route from Siberia to Armenia's capital of Yerevan on Saturday when 31-year-old Armina Babayan went into labor. You're probably thinking, "Wait, hella pregnant ladies aren't supposed to fly!" Well, during check-in, Babayan claimed she was just 6.5 months preggers. So, she was either lying, or that baby wanted out early. Flight attendant and baby namesake Asmik Gevondyan quickly leapt into action, organizing a smooth delivery with fellow crew members. Weirdly, the birth of a girl in the air breaks a streak of baby boys born in flight, of which there were at least five since 2011, including a little guy born on an Emirates flight from Dubai to Manila who was named EK, the airline's flight code. I kinda dig that, it's very International.